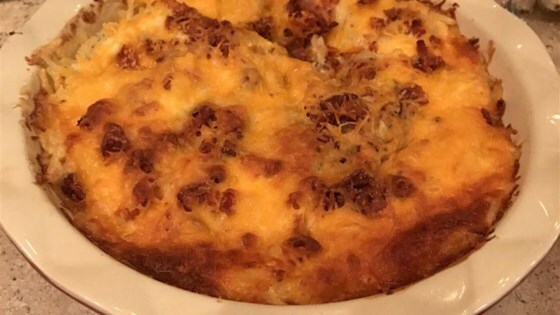 "I have tried many potato casseroles and this one always gets rave reviews and recipe requests. It's the easiest to make too!" In the microwave, melt cheese in a large microwave-safe bowl. Stir in mayonnaise, potatoes and onions. Spread in a 9x13 inch baking dish and top with bacon bits. Bake in preheated oven for 1 hour, or until hot and bubbly. Quite delicious and a versatile side-dish.